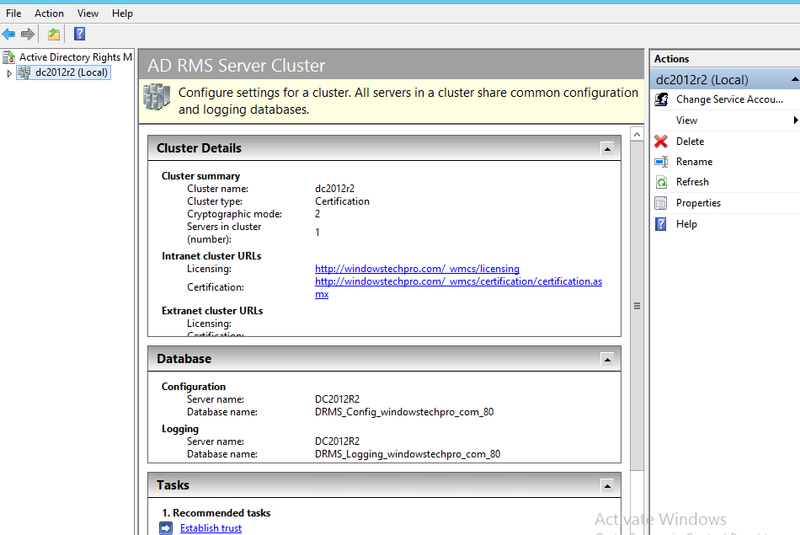 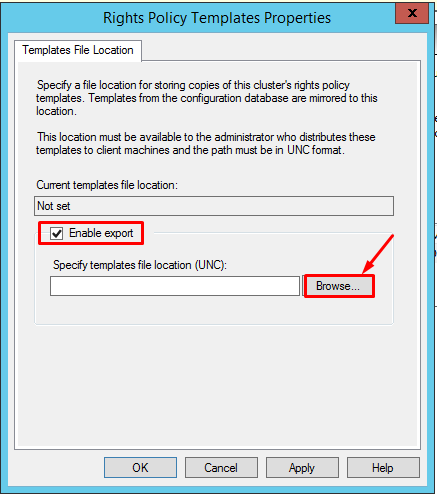 In this multi Part Articles,I have been covered in part 1 how to install and configure AD RMS. 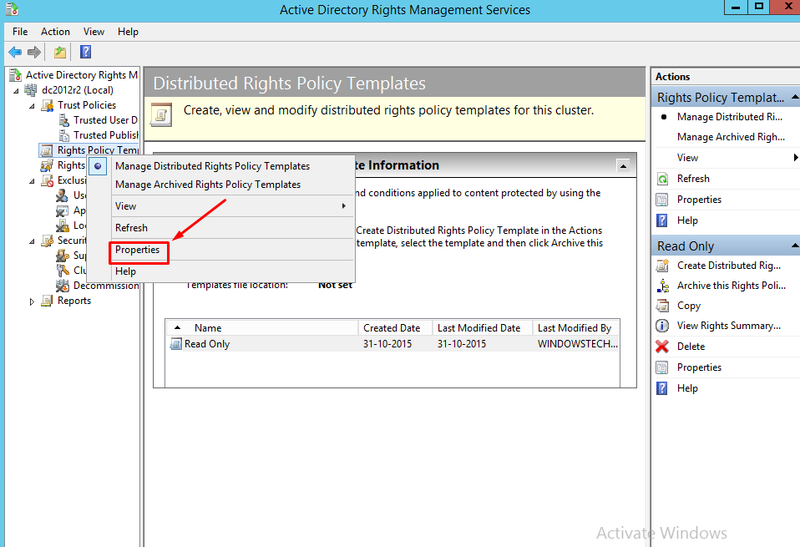 Open Active Directory Rights Management Services. 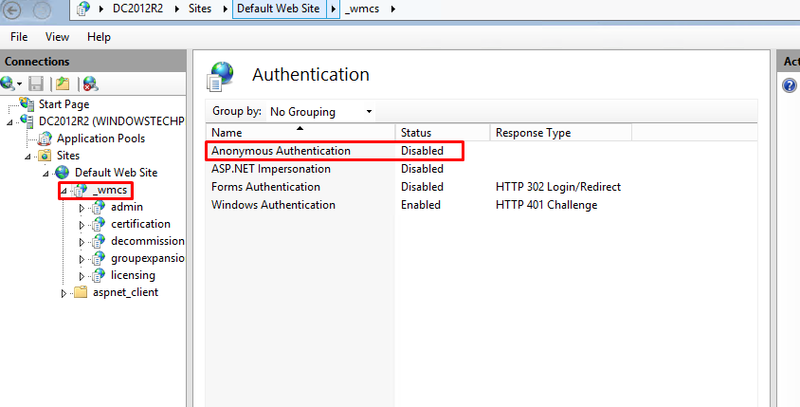 Here You have to use RMSSVC as login account as we have assigned it as Service account. 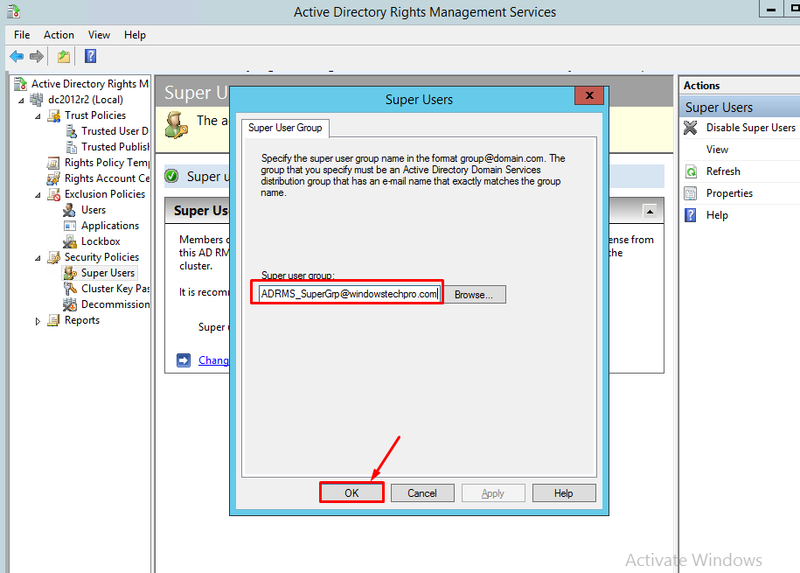 Once Enabled Add the Super users DL Group. 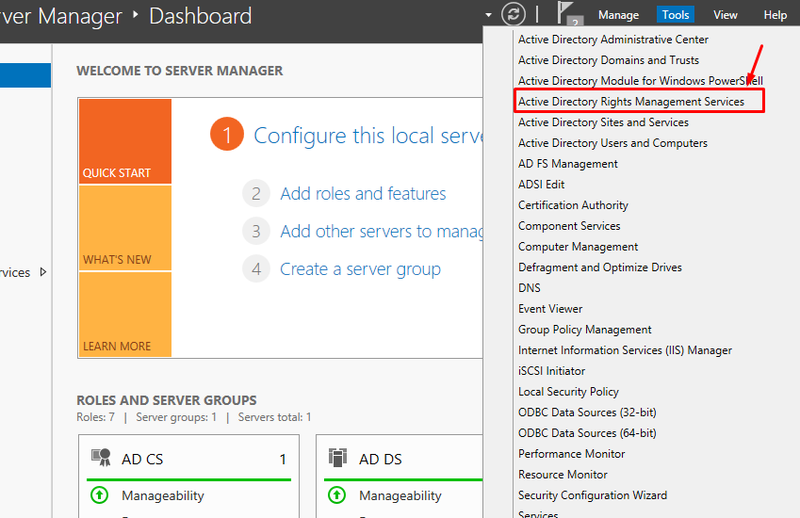 It is basically Admin Group who will be having rights to control the RMS Services. 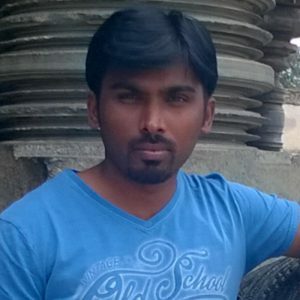 Select English and Name for the Template and give the description for it. 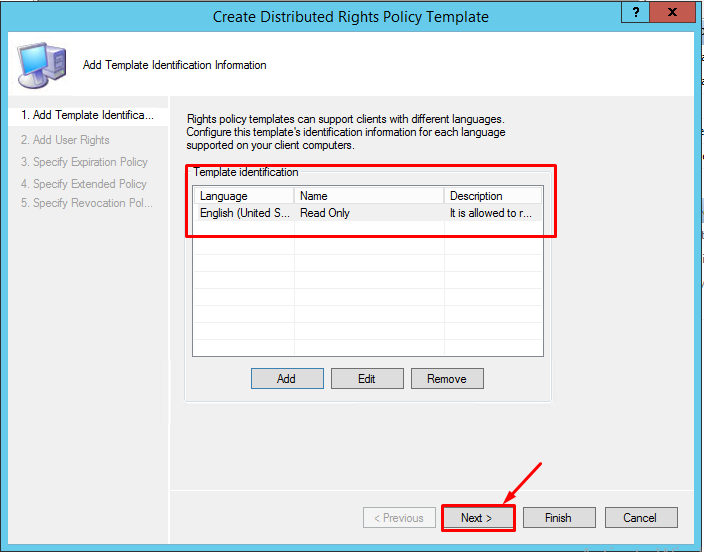 Specify the user/Group who can user this template. 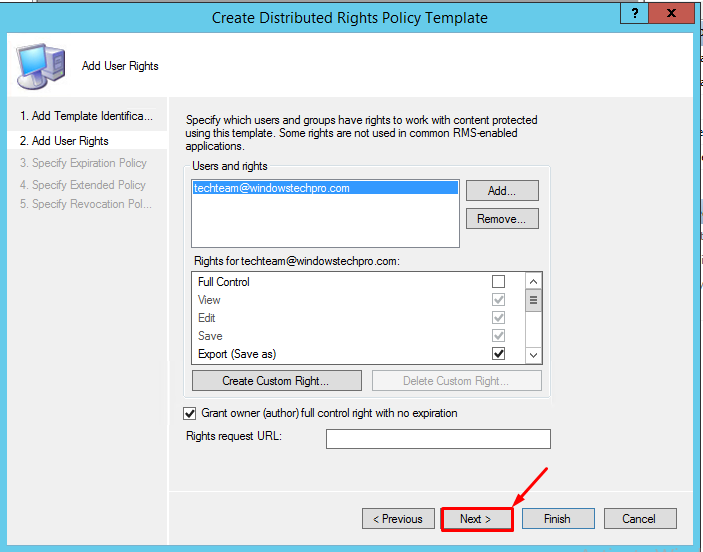 You need to select everyone if you are going to use it for all the domain users. 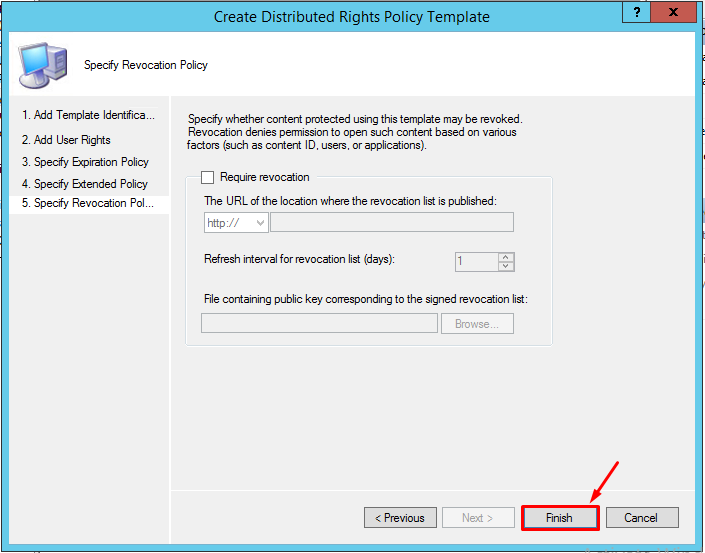 Click on Finish without selecting the Revocation Policy. 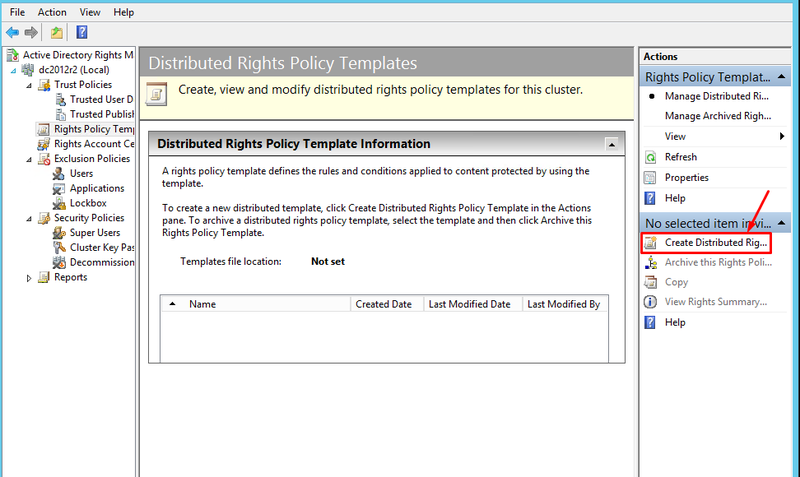 Now you can see the template under Rights Policy Template. 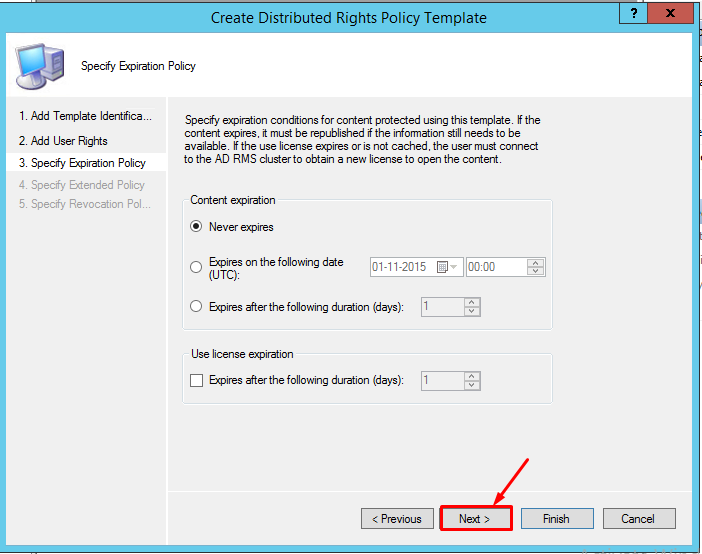 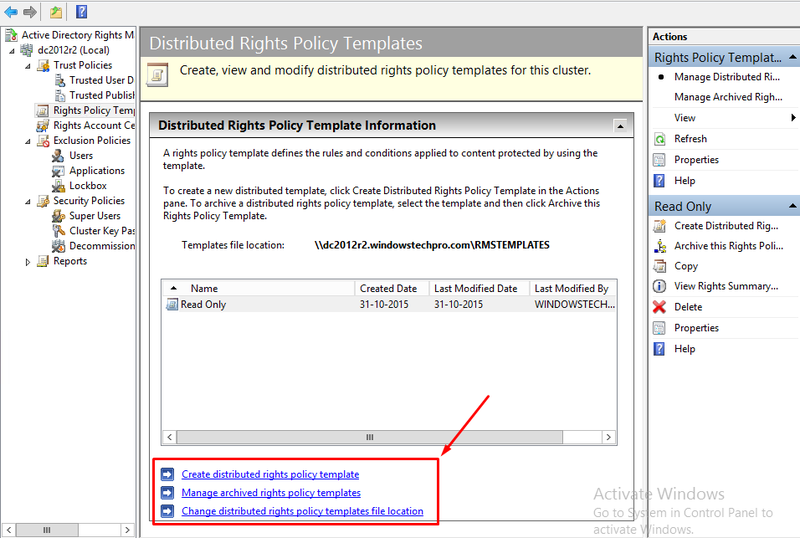 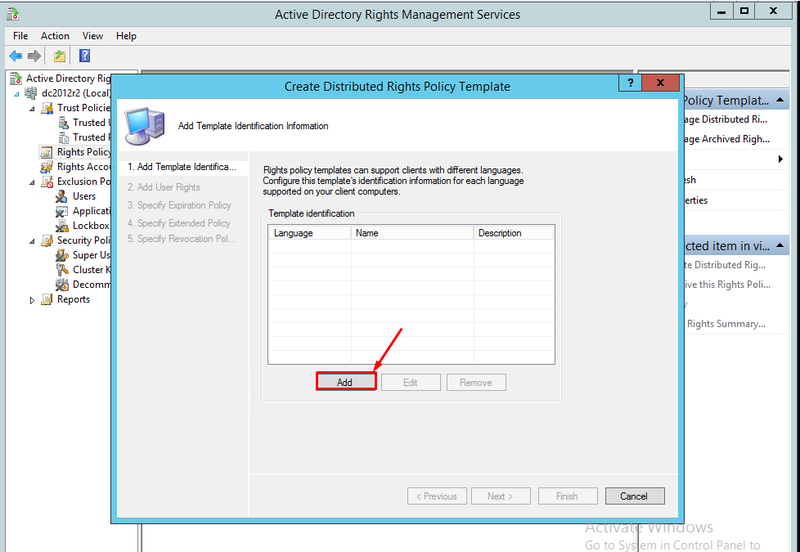 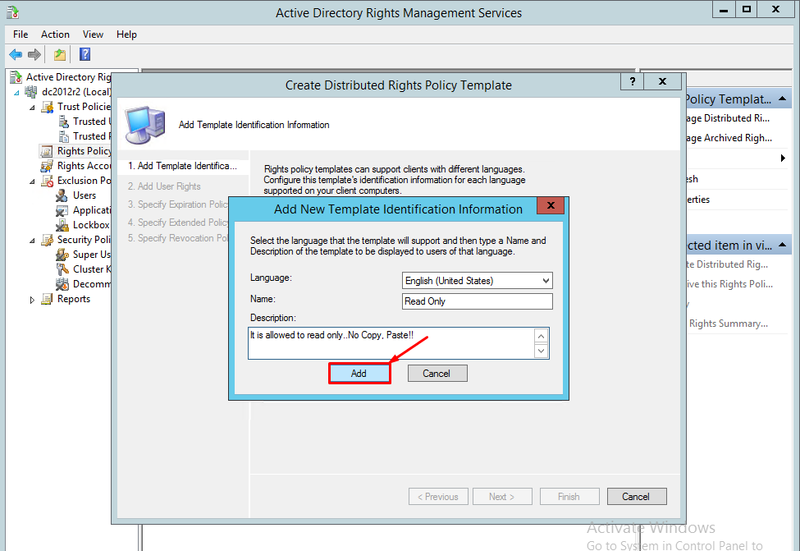 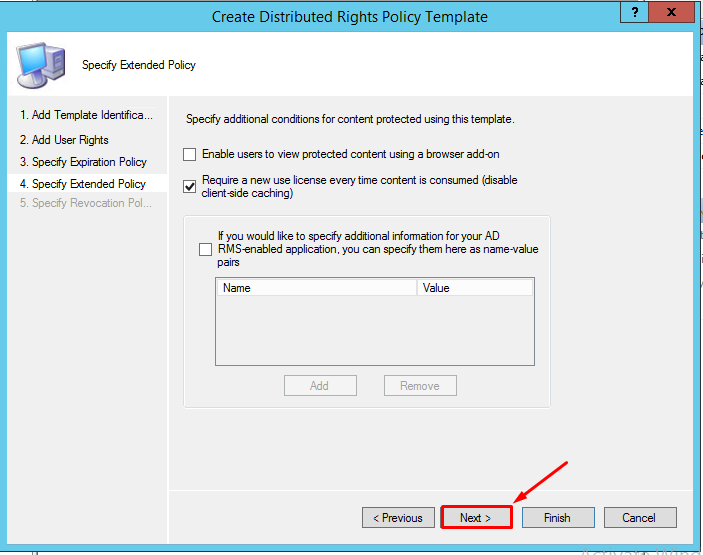 Right click on Rights management template and select Properties. 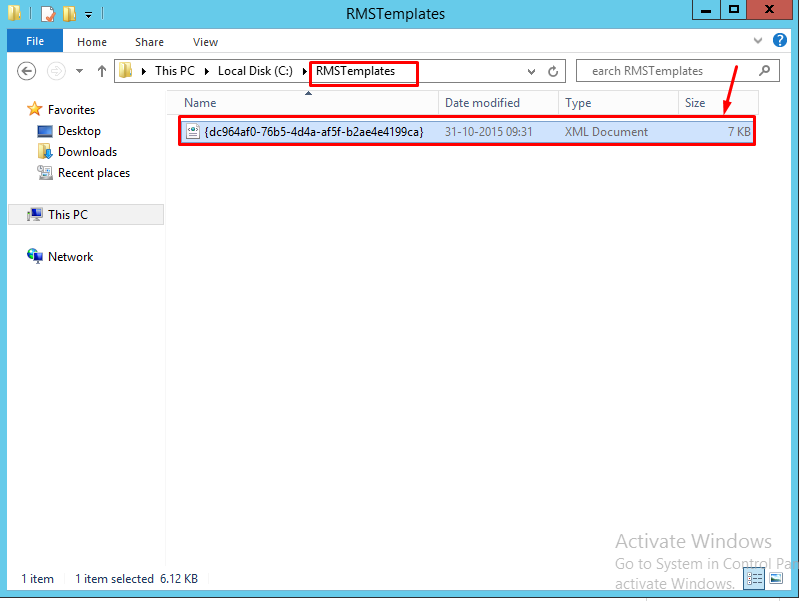 In the SMB Share folder, You can see that XML file is available and contains the template which we created. 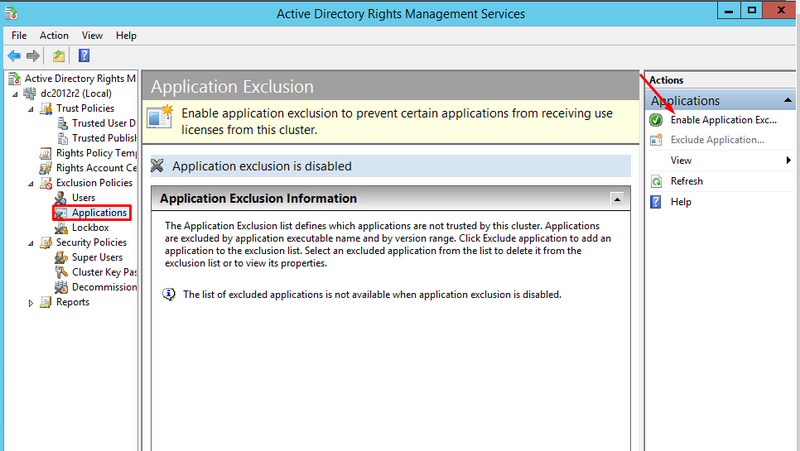 Select the Applications and Enable the Application Exclusions. 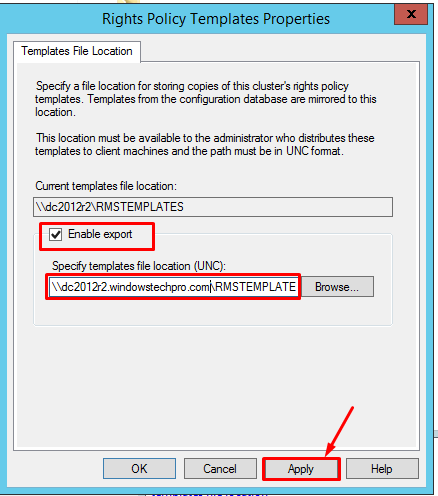 If you want to exclude any applications to use the RMS, You could do it here. 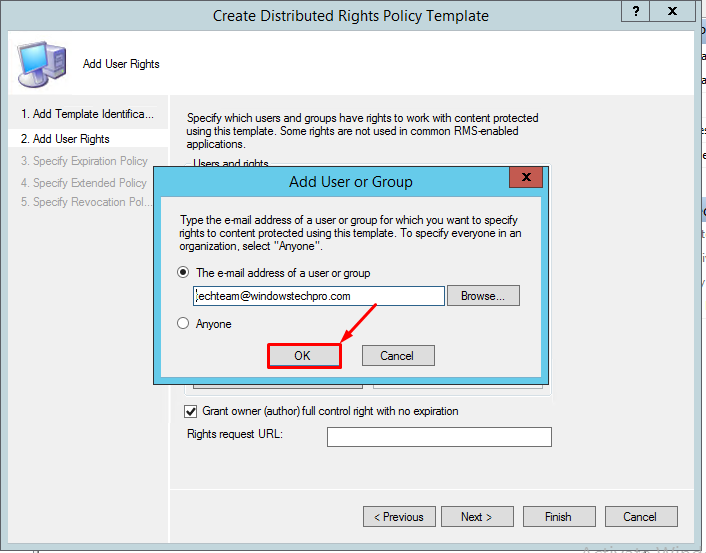 Many thanks for this wonderful work, I followed these steps but unable to get the result. 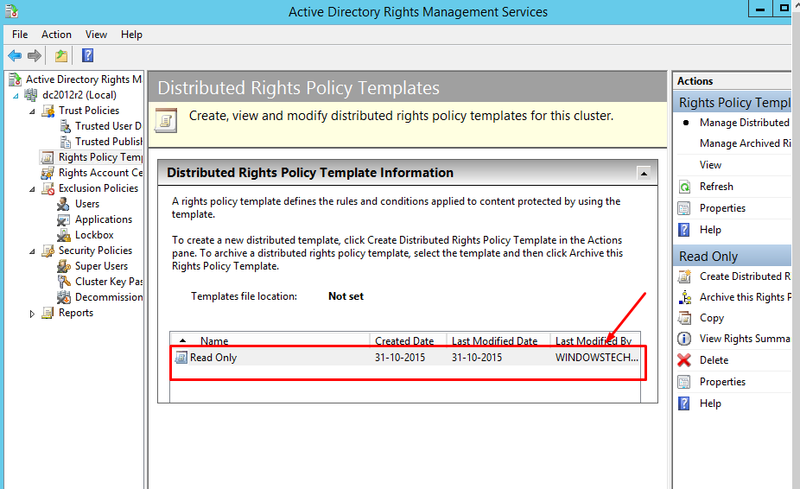 Sorry, something went wrong opening Information Rights Management protected content. 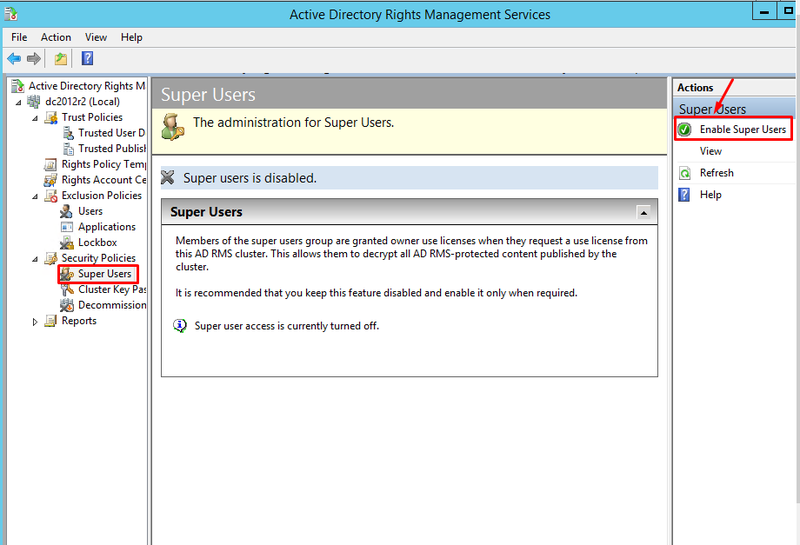 The network location cannot be reached. 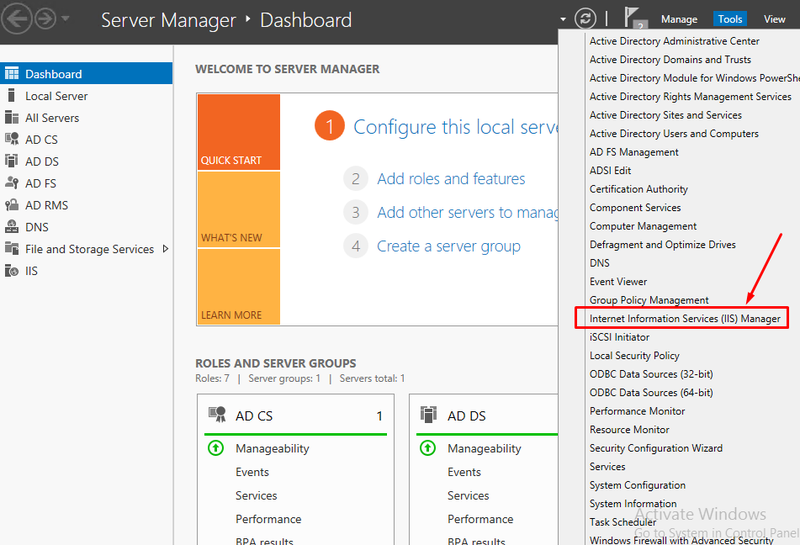 For information about network troubleshooting, see Windows Help.